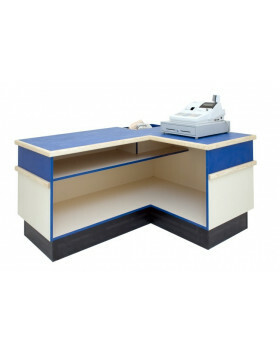 Your shop counter is an integral part of your business. It’s the point at which you interact closely with your customers, build lasting relationships and ultimately make sales, which is why it’s important to ensure that your counter is as well-designed as the rest of your store. Through putting as much thought and design into your retail counter as you would into your display units, you can create a central, focal point in your store which customers will want to use when they visit. 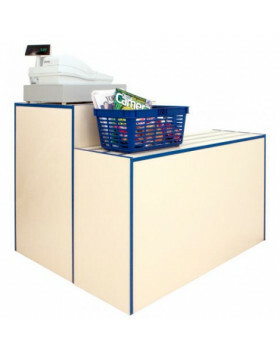 Here at Shopfit Design, we have a range of different retail shop counters UK that can either be conveniently assembled in the factory, or provided in flat-pack form for self-assembly. 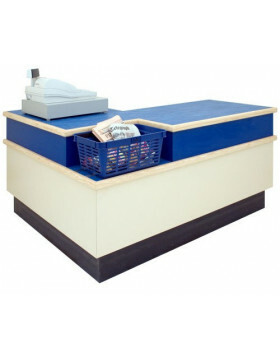 If you’re in need of counters which truly finish off a shop design, we can offer a wide range of different designs, including the choice to switch which side the cash register is held and, in some cases, we can even change the type of material used or the colour of the trim. In most cases, these adjusted features are available upon order, but we are also able to offer a unique bespoke service to all of our customers. We understand that every shop is unique, which is why we are proud to offer made-to-order retail shop counters UK upon request. All you have to do is get in touch and let us know what you want. 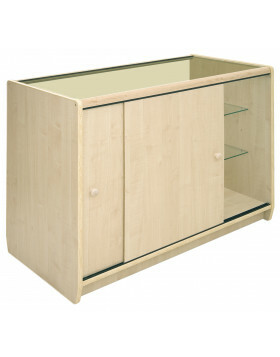 Our shop counters UK collection is available to anyone and with a variety of different sizes, shapes and prices, there’s something to suit any shop size or design budget. 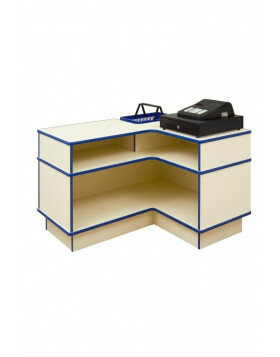 Whether you opt for our Sherwood Checkout Counter or pick our Economy Checkout Counter, you can rest assured that there is plenty of storage room for you and your employees behind the counter regardless. 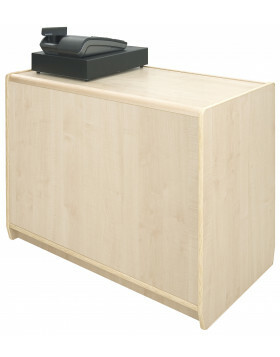 We understand retail, so you can enjoy peace of mind knowing your retail counter design and supply is in safe hands. Each of our base counters have been designed with convenience in mind. The fast-paced retail industry can call for simple, yet convenient retail shop counters in order to help streamline the entire process and we are proud to provide precisely that, while offering aesthetically pleasing variations in order to suit your store’s style and personality. 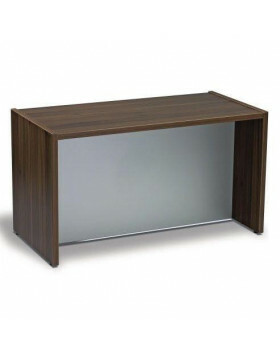 Each of our counters has a variety of different features available, whether that’s lockable doors or sliding ones, and you can opt in or out of any of them. If you have any special requirements, we will even dedicate our time to make sure that your requirements are met, every time. If you’d like to order from our shop counters UK service for an affordable yet integral addition to your shop, simply take a look at the range we have on offer, below. 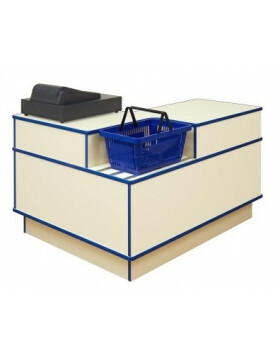 Choose your finish, size, left or right handed cashier and even a range of extra features for a shop counter that’s truly unique to your store. Standing out in a saturated market is the key to success and we are dedicated to helping our clients and customers meet that goal. 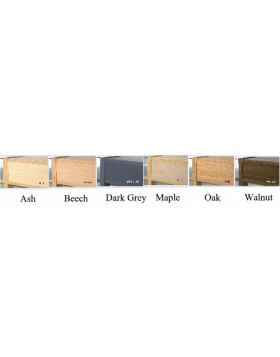 Whether you’d like one of the counters below, or would like to utilise our bespoke design services for your retail counter, simply place your order below, or get in touch with a member of our expert team, today.